As Ashley Moon prepares for a dream holiday with her daughter in the French Riviera, she never would have expected the shock of her life. When Ashley was eighteen, she was on holiday and had a whirlwind romance that, nine months later, left her with her beautiful daughter Molly. It is now seventeen years later and the last man she ever expected to see again at the villa next door is none other than Molly's father, Haydon. Meanwhile, Ashley's daughter Molly and Haydon's daughter Ella become fast friends during the getaway week. This brings Ashley and Haydon together quite regularly, and, although they clearly remember their shared past, Haydon has no idea that Molly is his daughter, and Ashley struggles to find a way to let him know the truth. Although I was eager for Ashley to tell Haydon the truth, the Summer Getaway is certainly a heartwarming story that had me smiling. Second-chance romances are one of my favorite type to read and this one did not disappoint. The story does an excellent job of focusing well on the relationships between Ashley and Molly as well as Haydon and Ella. I also enjoyed the other characters in this book. The story was very engaging, making this a quick and delightful read and offered a satisfying conclusion. I look forward to reading more of Tilly Tennant in the future. Many thanks to Bookouture and to NetGalley for this ARC to review in exchange for my honest opinion. Sixteen-years-ago Ashley Moon had a one night stand whilst on a girls holiday in Ibiza. The guy left early to catch his flight home leaving just his phone number, which turned out to be bogus. All Ashley knew of this lad was that he was called Haydon, oh and that he was the father to her daughter Molly who was the result of that one night stand. Present day and single mum Ashley has been persuaded by her Mum and Step-Father Maurice to travel with them to the South of France to a little place called Saint-Raphael, for one of Maurice’s relatives 100th birthday. Haydon is now a successful music teacher and divorced father to Elle aged fourteen. Ella’s Mum and Step-Father are planning on moving to live in London and Haydon is not happy. After being offered the chance of a cheap holiday from one of the parents of a boy he tutors, Haydon decides to take his daughter and have some father-daughter time in the South of France. After sixteen years apart Ashley and Haydon end up holidaying in villas next-door to each other. But will Ashley have the heart to tell Haydon who she really is and more importantly that Molly is his daughter? 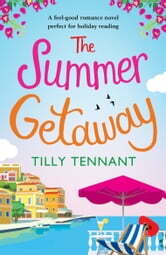 I have read a lot of Tilly Tennant’s books so when I heard she had another book out I jumped at the chance to read it. Her books have always had great settings to them and this was no different. Saint-Raphael sounds like a gorgeous part of the world. Old style villas surrounded by wildflowers and wall to wall blue sky above. For me, the first half of the book was where the magic happened. Getting to know the characters and enjoying spending time with them individually. Once they met it became a waiting game to see how long it would be before Ashley told Haydon that Molly was his daughter. If I’m perfectly honest I feel that this was strung out a little bit. I could feel myself tensing up every time Ashley had the chance but never took it. The characters were all unique and far from perfect, whilst they were a joy to spend my time with they were also quite annoying at times. Ashley moaned too much and was so pig-headed. Haydon thought the sun shone out of his daughter’s back-side and everything was always someone else’s fault and don’t get me started on Ashley’s mother. That’s the beauty of books though, getting emotionally involved with them. 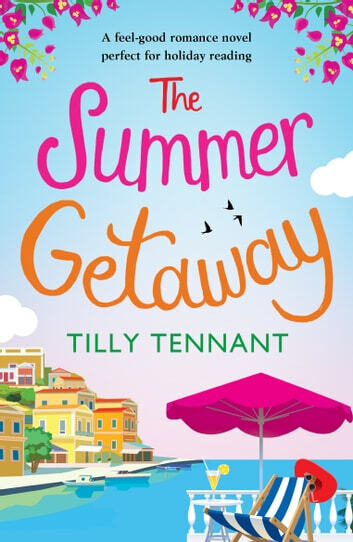 Yes, the characters were annoying at times, but so are people in everyday life, which to me showed how realistic Tilly Tennant has written her plot. This is a lovely summery read that would be perfect to settle down on your sun-lounger with and enjoy spending your time in the most glorious place. DNF at 74%. I tried really hard to finish this book but frankly I found all of the characters to be unsympathetic, verging on dis-likeable. Sixteen years ago Ashley Moon went on a summer holiday to Ibiza she would never forget, a one-night stand with a boy called Haydon (no surname) left her pregnant with a bogus phone number. For the first time in forever she and her daughter Molly are going abroad on holiday - to France to celebrate Ashley's step-father's mother's 100th birthday (I hope that made sense). Haydon is a music teacher and divorced with a fourteen year old daughter called Ella. His ex-wife and her new boyfriend are thinking of moving down to London and taking Ella with them so Haydon decides to take advantage of a late offer from a pupil's father and rent a villa in France for a week's holiday with Ella. Imagine Haydon and Ashley's surprise when they discover that after sixteen years of no contact they are staying next door to each other in France. So, here I am, 74% of the way through the book, six days into Ashley's holiday and she STILL hasn't told Haydon that Molly is his daughter. Nevertheless the four of them, plus various wider family members, have managed to spend several days together. Ashley has to be one of the most infuriating characters I have ever read. She hasn't seen this guy in sixteen years. They had a one-night stand. She gets jealous if she sees him with another woman. She thinks she can't trust him. So she won't tell him he has a daughter. Her own mother can't understand what is taking so long. Haydon on the other hand is one of those parents who thinks that others need to tip-toe around their precious baby. His daughter gets upset and he thinks it's the fault of the other children instead of the natural outcome when there are two fifteen year olds and a younger child. Goodness only knows why he likes Ashley, she's wetter than a cold weekend in Seattle. The book was too slow, do we really need 245 pages of Ashley faffing about before she tells Haydon he has another daughter? I suppose realistically I wanted the novel to be about what happens AFTER she breaks the news not this will-she, won't-she wobbling. Maybe I'm too old, I identify more with Ashley's exasperated mother than I do with her? It's a pity because I've read Tilly Tennant books in the past and really enjoyed them. I received a free copy of this book from the publisher via NetGalley in return for an honest review.